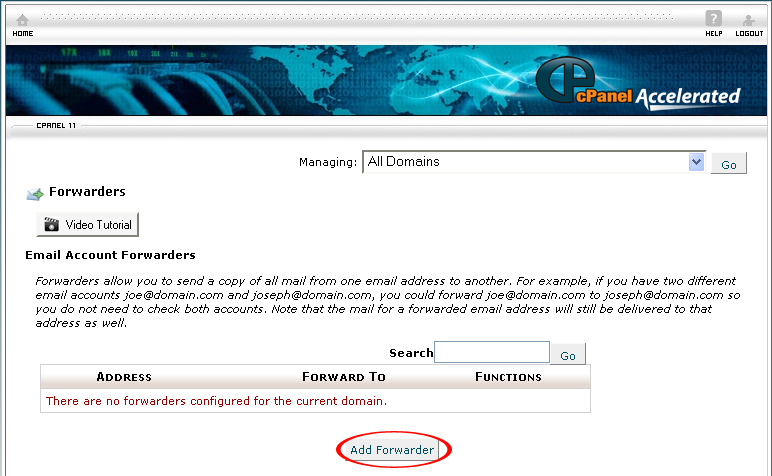 On the homepage of your Cpanel account, click on Forwarders under Mail. Select the domain of the email account which you want its emails forwarded from the drop down menu. 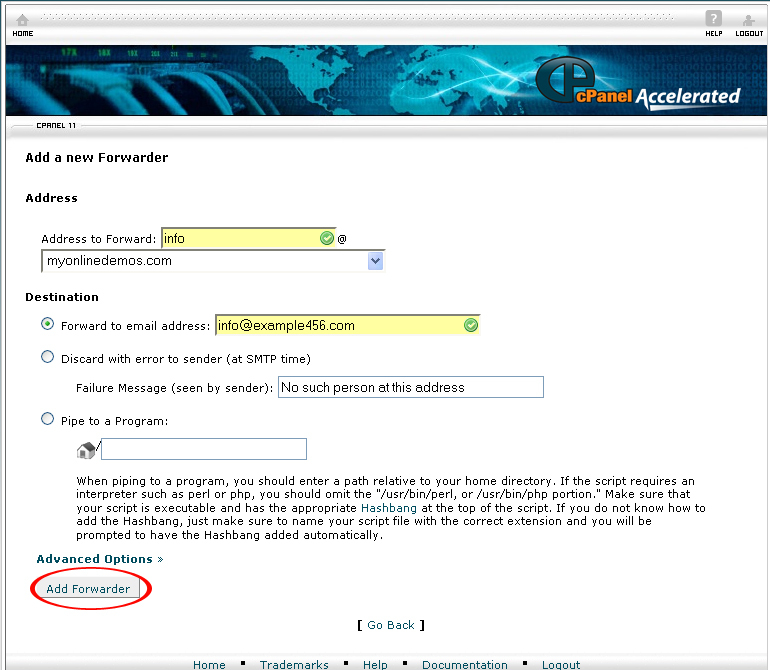 Enter the username of the email address in the Address to Forward text box. Enter the email address where all the emails from the other email account will be forwarded in the Forward to email address text box. You have successfully added an email forwarder.